The Apple iPhone has really shaken the mobile industry since Steve Jobs introduced it last month . And now analysts are saying that Apple's deal with Cingular is set to be a nice little earner for Steve Jobs and company as well. By locking the price of the Apple iPhone at $499 (£255), and teaming up with a single network operator, Cingular , in the US, Apple has gone down a different route than most other mobile phone manufacturers. 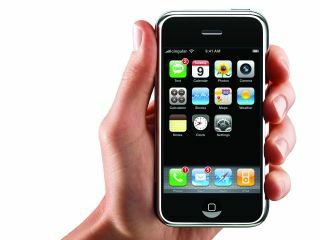 Michael Rollins, an analyst with Citigroup Investment Research , claims that Apple is set to earn $250-300 (£128-153) in royalties for every Apple iPhone customer who signs up for a Cingular contract, according to AppleInsider . As Cingular is the only choice of operator for those who buy the Apple iPhone when it's launched in the US in June, this could mean big bucks for Apple. Normally, mobile operators subsidise the cost of mobile phones to attract new customers. But since Apple thinks this would reduce the perceived value of its Apple iPhone, this was out of the question. In other words, what is normally a bonus for a potential new customer (a lower price for their mobile phone) could go straight into Apple's pockets instead - as a reward for creating a new customer for Cingular - now part of AT&T. There is no information yet about the deal between Apple and Cingular, so the exact amounts of the transactions between the companies remain a secret. Last month, analyst company iSuppli predicted that Apple would pocket more than 50 per cent of each iPhone sold.